Valve, the creators and caretakers of the incredibly successful PC game distribution service Steam, has been hinting around its plans to move into the living room for more than a year. Apparently, the company has finally put its money where its mouth is. 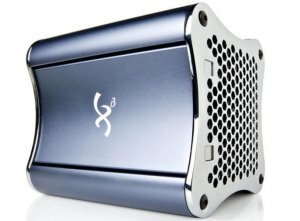 Valve has invested in the fledgling hardware company Xi3, the maker of small desktop PCs, to create a mini gaming PC.